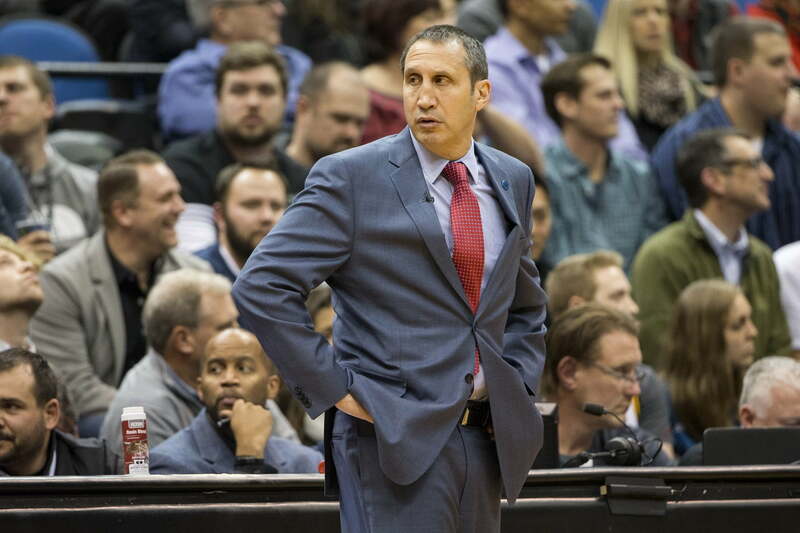 David Blatt might have fallen off the radar of NBA fans in the states, but he’s still doing his thing overseas. The former Cleveland Cavaliers coach is heading Olympiacos of the EuroLeague and having a ton of success doing so. For Blatt, the hope here is that said success could help lure Golden State Warriors star Kevin Durant to Greece. Okay, so he’s not being serious. While Durant could make a shocking free agent decision this coming summer, that likely won’t include him heading over to the Greek isles. Blatt knows this full well. It’s great to see Blatt still have a sense of humor after getting a raw deal in Cleveland. He was fired midway through the 2015-16 season after leading the team to a 30-11 start to the campaign. That’s after he led the Cavaliers to an NBA Finals appearance in his first season as head coach. On a somewhat unrelated note, we’d love to hear Blatt’s thoughts on the current version of the Cavaliers. Things have gone terribly wrong for the organization and they now look like the least-talented team in the Association. We’re sure Blatt is more than okay with doing his thing in Greece. Just don’t expect KD to be joining him there.